Very large robust blender. Perfect for applying concealer or mineral eyeshadows. 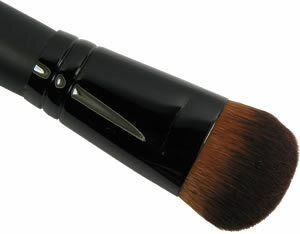 Brush length is approximately 6 inches with a 1 1/4 inch wide brush head.